Cooperstown, N.Y. - The Cooperstown Summer Music Festival, under the artistic direction of flutist Linda Chesis, celebrates its fifteenth anniversary season this summer with concerts by leading classical artists. Three Festival concerts will be held on Wednesday evenings in August in the Louis C. Jones Center at The Farmers&apos; Museum in Cooperstown, NY. Vienna is the focus of two Festival concerts on August 7 with the Amphion String Quartet, flutist Linda Chesis and clarinetist Mingzhe Wang, and on August 14 with the Walden Chamber Players. "I was curious to explore how Viennese culture inspired three centuries of important composers and continues into the 21st century," explains Chesis. The August 7 concert features a string quartet by Haydn, a flute quintet by Ries, and the clarinet quintet by Brahms. At intermission, a tasting of Rieslings from Hermann J. Wiemer Vineyard will be offered, along with a selection of local cheeses. The August 14 concert features masterworks by Bach, Mozart and Beethoven, along with lesser-known gems by Schedl and David. The Boston-based Walden Chamber Players presents a new concept of a classical concert both in content and presentation. Drawing from a rich palette of sources and styles, it mixes and matches the works of both classical and contemporary composers with an eye to new understandings and discoveries. 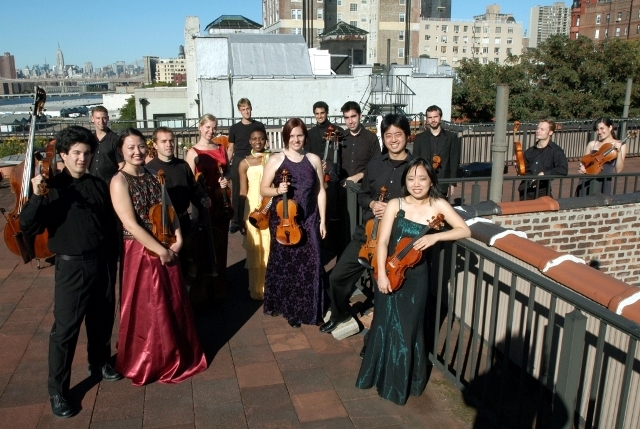 The Festival finale on August 21 is a return performance of the East Coast Chamber Orchestra. This 15-member strong ensemble, comprised of members of major orchestras, string quartets and GRAMMY-award winners, will perform Mozart, Ravel, a 2013 commission by David Ludwig, and more. "We are thrilled to have ECCO back in Cooperstown. Their 2011 concert stands out as one of the most popular programs in the Festival&apos;s 15 year history. Don&apos;t miss the opportunity to hear this chamber orchestra&apos;s power, expressivity and finesse in The Farmers&apos; Museum&apos;s intimate setting," says Chesis. The concerts at The Farmers&apos; Museum begin at 7:30 pm. Tickets and Information Tickets are now available online, CooperstownMusicFest.org and by phone through Brown Paper Tickets, 800.838.3006. Tickets also will be sold at the door, as available. Tickets are $25 for adults; $15 for students 6-18. The Festival also features concerts held at the Otesaga Hotel: REBEL Baroque on August 4, and Jazz with Hilary Kole on August 11. For more information, go to CooperstownMusicFest.org About The Farmers&apos; Museum One of the oldest rural life museums in the country, The Farmers&apos; Museum provides visitors with a unique opportunity to experience 19th-century rural and village life. Free parking and picnic sites available. The Farmers&apos; Museum is located at 5775 State Route 80 in Cooperstown, NY. [For more information, photos, or to arrange an interview with Linda Chesis or any Festival artist, please contact Peg Odell, 607/544-1123, odell5@stny.rr.com] Wednesday, August 7, 7:30 pm Vienna 1: The Imperial City Cooperstown Summer Music Festival at The Farmers&apos; Museum 5775 State Route 80, Cooperstown, NY Beethoven Variations on "La Ci Darem La Mano" from "Don Giovanni" Haydn String Quartet Op.33, No. 4 Ries Quintet, Op. 107 for flute and strings Brahms Clarinet Quintet, Op. 115 The composers on this program shared an inspiration: the city of Vienna and its vibrant community of artists, musicians and writers. A tasting of Riesling wines from Hermann J. Wiemer Vineyards paired with local cheeses will be offered at intermission. Performers: Amphion String Quartet (Violinists Katie Hyun and David Southorn, violins; Wei-Yang Andy Lin, viola; and Mihai Marica, cello); Linda Chesis, flute; and Mingzhe Wang, clarinet Wednesday, August 14, 7:30 pm Vienna 2: A Tradition of Innovation Cooperstown Summer Music Festival at The Farmers&apos; Museum 5775 State Route 80, Cooperstown Bach/Mozart Preludes and Fugues, K. 404a Schedl String Trio Mozart Flute Quartet No. 3 in C major, K. 285b David Duo for Flute and Viola Beethoven String Trio in D major, Op. 9, No. 2 The Festival returns to Vienna to explore the nuanced relationship between venerated masters and innovators. The revered genius of Bach, Mozart, and Beethoven comes alive alongside extraordinary but lesser known works by Schedl and David. Performers: Walden Chamber Players (Ashima Scripp, Artistic Director and cello; Christof Huebner, viola; and Curtis Macomber, violin) and Linda Chesis, flute Wednesday, August 21 7:30 pm East Coast Chamber Orchestra Cooperstown Summer Music Festival at The Farmers&apos; Museum 5775 State Route 80, Cooperstown Mozart Divertimento in B flat major, K. 137 David Ludwig Virtuosity (2013 commission for ECCO) Judd Greenstein Four on the Floor Ravel String Quartet in F major Satie Gymnopedie/Gnossiene Gesualdo Motet/Madrigal ECCO is comprised of 15 soloists, chamber musicians, members of major American orchestras, and GRAMMY award winners. Tickets are available online, CooperstownMusicFest.org and by phone through Brown Paper Tickets, 800.838.3006. Tickets also will be sold at the door, as available. Tickets are $25 for adults; $15 for students 6-18.